The brown recluse spider, Loxosceles reclusa, is a well-known member of the family Sicariidae (formerly placed in a family “Loxoscelidae”). It is usually between 6–20 mm but may grow larger. It is brown and sometimes an almost deep yellow color and usually has markings on the dorsal side of its body, with a black line coming from it that looks like a violin with the neck of the violin pointing to the rear of the spider, resulting in the nicknames fiddleback spider, brown fiddler or violin spider. Coloring varies from light tan to brown and the violin marking may not be visible. Recluse spiders build irregular webs that frequently include a shelter consisting of disorderly threads. These spiders frequently build their webs in woodpiles and sheds, closets, beds, garages, plenum, cellars and other places that are dry and generally undisturbed. They seem to favor cardboard when dwelling in human residences, possibly because it mimics the rotting tree bark which they inhabit naturally. They also tend to be found in shoes, inside dressers, in bed sheets of infrequently used beds, in stacks of clothes, behind baseboards, behind pictures and near furnaces. The common source of human-recluse contact is during the cleaning of these spaces, when their isolated spaces are suddenly disturbed and the spider feels threatened. Unlike most web weavers, they leave these webs at night to hunt. Males will move around more when hunting, while the female spiders tend to remain nearer to their webs. The venom from a brown recluse spider is extremely venomous. Because of its venom the brown recluse spider is perhaps considered one of the most medically important groups of spiders. Envenomations can result in necrosis (tissue decay) and sometimes general systemic illness that can be life threatening; especially for elderly and children. 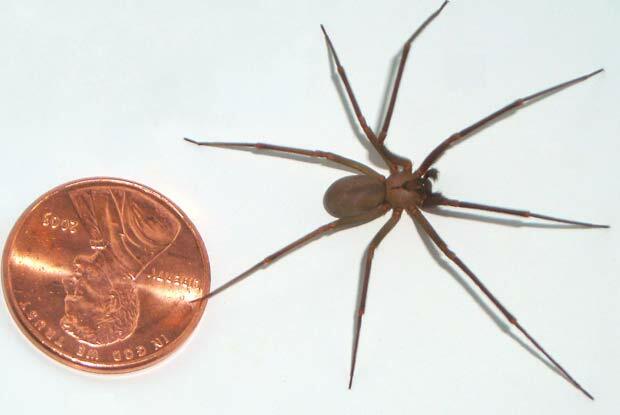 Give us a call today at 503.720.8559 to learn more about Brown Recluse Spiders or to schedule an inspection!